It's the second time in three months that the company has had to disassociate its brand from extremist groups. 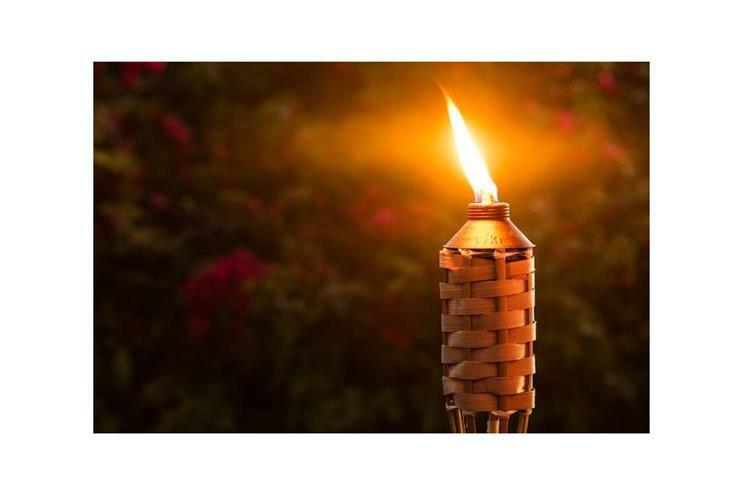 Tiki Brand took a strong stance on a social issue for the first time in its history this weekend after torch-wielding white nationalists marched in Charlottesville, Virginia. It was the first time in its six-decade history that the company has taken such a social position, said Marlaina Quintana, SVP and PR group account director at Cramer-Krasselt, which has been working with Tiki for nearly 10 years. "We never had to," she said. "The brand is such a gathering together [product] for families and outdoor fun that it’s never been something that’s come up before." It was the second time in three months that white nationalists had been spotted by the media using Tiki products. In May, prominent Alt-Right figure Richard Spencer led a torch-lit march protesting the removal of a statue of Robert E. Lee in Charlottesville. After that demonstration, Tiki responded to inquiries about the incident on an individual basis, "basically reiterating that Tiki Brand products are meant to be enjoyed by friends and family for outdoor gatherings," Quintana said via email. Cramer-Krasselt’s PR and social media team initially tried the same approach this weekend after white supremacists marched on Friday night wielding Tiki torches, said Maureen Fernstrum, PR and social account supervisor at the agency. The firm began monitoring the situation on Saturday morning, responding to social media users individually while working with its client to draft a statement. It decided to take a more proactive approach than three months ago, Quintana said. "I don’t think anyone really thought the association would be as big as it turned out to be," Fernstrum explained. "Obviously, they were concerned about it, but when it blew up even more this past weekend, it was time to put out a more proactive public statement." Cramer-Krasselt’s team drafted a statement, received client approval, and posted it on Saturday evening. The "Unite the Right" gathering was billed as a rally protesting the removal of a Robert E. Lee statue in Charlottesville. It turned deadly after an Ohio man allegedly plowed his vehicle into a crowd of counter-protesters, killing one woman and injuring 19 others. Several brands distanced themselves from the rally and extreme right-wing groups this weekend. The Detroit Red Wings denounced the gathering after anti-immigration demonstrators were photographed carrying shields with a modified version of the team’s logo. The hockey team condemned the protest and said it was "exploring every possible legal action as it pertains to the misuse of our logo in this disturbing demonstration." A representative for the Red Wings declined to comment further. Website provider GoDaddy also took a strong stance against neo-Nazi groups following the weekend’s events. After advocate Amy Suskind called out the company for hosting the site of The Daily Stormer, the company said it told the group to find another domain provider. "We took the action and issued the statement because the site in question was violating our terms of service agreement," said Dan Race, VP of corporate comms, via email. He declined further comment. The Daily Stormer tried to move its domain to Google, which quickly cancelled its registration for violating its terms of service, according to an emailed statement from a spokesperson. President Donald Trump did not explicitly name or condemn white supremacists, white nationalists, or neo-Nazi groups in his initial comments on the matter on Saturday, instead blaming the violence on "many sides." The president reversed course and condemned the extremist movements in an additional statement on Monday. Three chief executives stepped down from the White House’s manufacturing advisory council in protest of Trump’s initial handling of the matter: Kenneth Frazier of Merck, Kevin Plank of Under Armour, and Brian Krzanich of Intel. Elon Musk of Tesla, Robert Iger of Walt Disney, and Uber’s Travis Kalanick previously exited White House commissions for other reasons.